He started studying trombone in Córdoba under the tutelage of Antonio Ureña and Jesus Gascó. He completed his higher studies in Trombone with top grades with Professor Daniel Alberola at the Conservatory “Manuel Castillo” in Seville, with Degree Honors. He has participated in courses and lessons with Javier Yera (CSM, Jaén), Pedro Botia (RTVE), Juan Bautista Abad (CSM Salvador Segui of Castellón), Carlos Gil (Miguel Iturbi Conservatory of Valencia), Enrique Ferrando (Nationa Orchestra of Spain) Indalecio Bonet (Spanish Brass Luurs Metalss), Miguel Moreno (CSM Castellon), Jay Friedman (Chicago Symphony), John Kenny (Royal Academy of Music, London), Jacques Mauguer (Soloist), Jorgen van Rijen (Concertgebouw of Amsterdam), Petur Eiriksson (Galicia Symphony Orchestra), Josefh Sebastian (Bayerisches Rundfunk), John Aigi (Galicia Symphony Orchestra), Mark Fisher (Liric Opera of Chicago) and Mihael Suler (Radio Slovenia). He has belonged to the Youth Orchestra of Andalucia, JONDE, European Youth Orchestra, Festival Ensemble Stuttgart, Maribor International Orchestra, Band of Lalin and Artistic Band of Merza, and performed with them in Spain, Portugal, France, Belgium, Hungary, Netherlands, Germany, Austria, Italy, Slovenia, Serbia, Croatia, England and Venezuela. 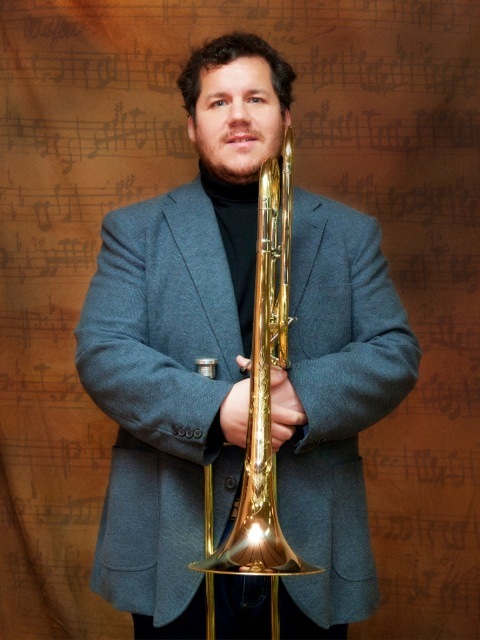 Since 2006 he receives advice and perfects his trombonist technique with Sebastian Krause (Trombone Soloist of the MDR Leipzig) and works in depth on chamber music and performance with renowned Cuban pianist Jorge Luis Prats. He collaborates regularly with groups such as the Cordoba Orchestra, Ciudad de Granada orchestra, Royal Philharmonic of Galicia, Bilbao Municipal Band, Orchestra of Malaga, Extremadura Orchestra and Symphonic Band of Madrid, being conducted by maestros as Aldo Ceccato, Ros Marbá, Garcia Asensio, Helmut Rilling, Hernandez Silva, Edmon Colomer, Dario Sotelo or Sanz Expert, and participates in chamber music projects with pianist Muñoz Cañivano, performing concerts at several venues in Andalucia, Extremadura, Castilla y Leon and Galicia, or important camera cycles organized by Manuel de Falla Chair at the University of Granada. This artistic activity is combined with their teaching of several courses and masterclasses throughout the year as a teacher at the Conservatory of Salamanca and trombone tutti in the Municipal Symphonic Band of Madrid.